OverviewHudson's Pokemon-like handheld RPG for the Game Boy Color that featured the "GB Kiss", a built-in infrared port to make for wireless link, to trade Robopons with friends, interact with household remotes to power up or evolve your Robopon, and unlock treasure chests that can't be opened otherwise. Robopon is basically an attempt to cash in on the success of Pokemon in the late 90s. While the game wasn't as popular, it isn't bad if you're into the whole "Catch 'Em all" style of gaming and monster taming. The story can be a little weird, but the game has an odd nostalgia to it with it's simple graphics and sound, and I find myself going back to it now and again despite having beaten it serveral times. Now you can add videos, screenshots, or other images (cover scans, disc scans, etc.) 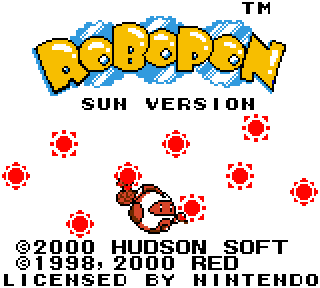 for Robopon - Sun Version (USA) to Emuparadise. Do it now! If you haven't noticed yet, we have a retro game of the day feature (top-right of the screen) wherein we feature a new retro title every single day! Now, you can vote for your favorite games and allow them to have their moment of glory. 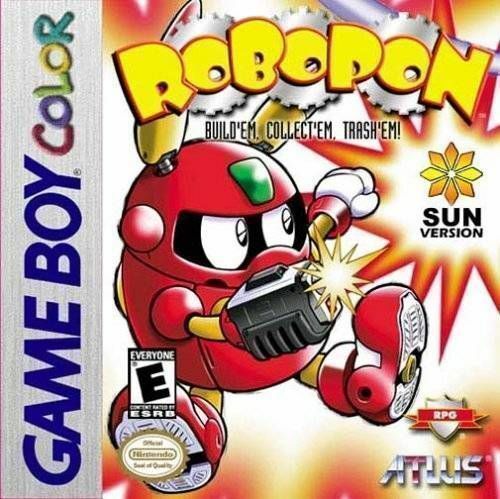 Click on the button below to nominate Robopon - Sun Version (USA) for Retro Game of the Day.